Crush Pack is the latest installment in Native Instrument‘s Effects Series. 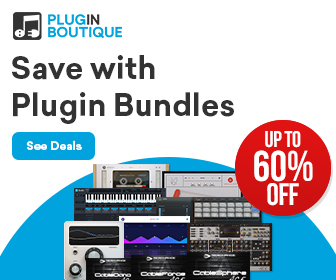 The bundle contains three colorful plugins with a focus on tonal destruction: Bite is a bit crusher and sample rate reducer with adjustable jitter, saturation and crunch. It can add the subtle digital crunch of 1980s samplers to sounds or degrade them to a pile of bits. Dirt packs saturation and wavefolding into two identical overdrive units that can run in parallel or serial mode. It delivers distortion from nuanced tone shaping to heavy overdrive. And Freak, arguably the most “far out” of the bunch, combines frequency shifting, ring modulation and radio modulation techniques to create retro radio lo-fi effects. Crush Pack runs as VST, AU and AAX and is NKS ready, so the three plugins can be browsed and controlled with Maschine or Komplete Kontrol S keyboards. The bundle costs $ 69 USD (or Euro), the crossgrade for Mod Pack owners is $ 49 USD.